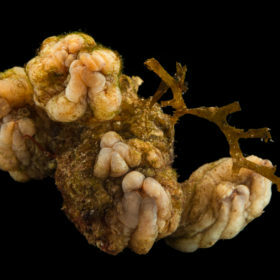 PHYLUM CHORDATA The formation of a notochord, and then a backbone was a big step in evolution. 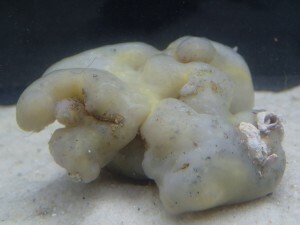 Tunicates which produce “tadpole” larvae are well represented in the glistening chunks of sea pork, knobby potato-like solitary forms or sea grapes. 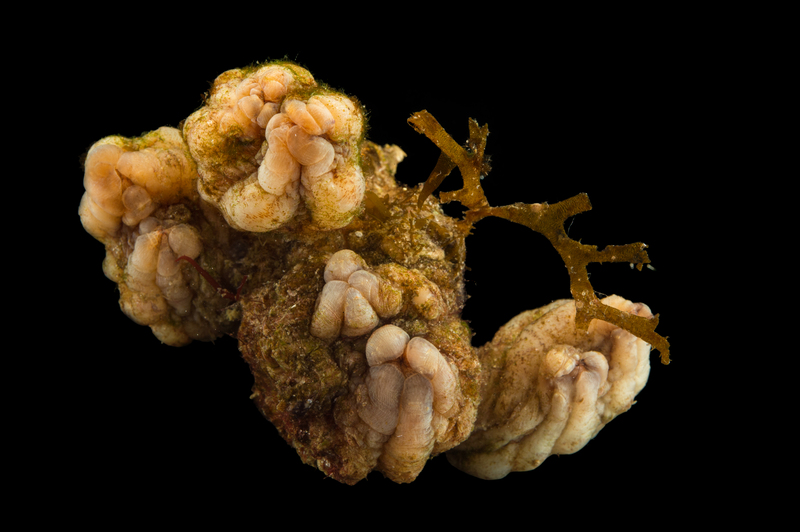 Tunicates absorb their notochords and sit like a sponge on the bottom. 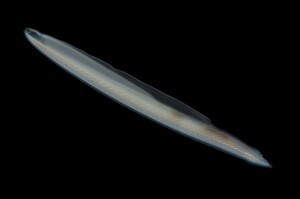 Not so with an amphioxus, which retains its notochord.